“梢”产生于农间，此器物用于收豆子等农作物，后来衍变为器械。此物分两种：一为梢杆；另一为梢棍。因世间万物分阴阳，此物也分大小，杆者为大，棍者为小。此套路也是由陈氏太极套路功法与梢中之劈、压、缠、绞等梢法和梢舞花相互结合组成，具有长兵短用及软器械之用法。“Shao”is derived from an agricultural tool. It was used to harvest beans and other harvested food but was gradually incorporated into the Taichi weapons syllabus. “Shao” can be divided into two kinds: one is shao pole, the other is shao stick. As there is male and female for everything in this world, the division between large pole and small stick is designed to reflect the masculine and feminine elements of nature. 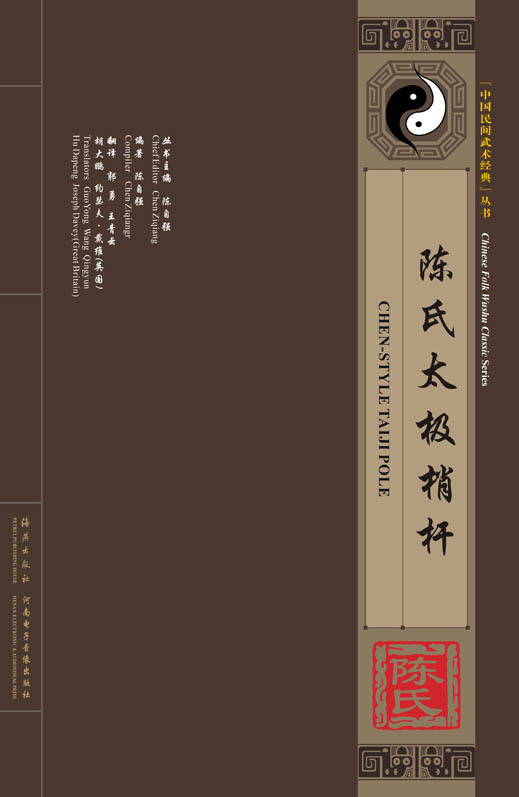 It contains the moves of chopping, pressing, circling, hanging and also shao dancing.